I always feel like after Christmas, the school year is halfway over. I think students feel the same way, too. Seniors get what we affectionately refer to as “senioritis.” While families, educators, and mentors do their best to prepare them for the future, many seniors are ready to leave high school and may not be fully prepared for the transition challenge that awaits them. This month, I am focusing on the transition challenge in relation to research skills. I offer my tips as well as the perspective of a high school librarian. 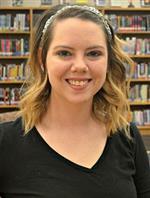 I asked Stacie Milburn, a high school librarian in Irving, Texas, how she prepares seniors for college. Here are her responses to my questions. How do you prepare your seniors for transitioning to college? To prepare seniors for the transition to college, I have stressed the importance of research and time management. Any opportunity that I have, I teach students how to search databases for appropriate materials and provide them with the skills to refine their search results. When the students understand this approach to research, they realize that it saves them time. It also provides students with resources that are relevant to their topic, which allows students to use their time effectively. Do you have a special unit that you teach them? I do go into classrooms to teach students about website and digital resource evaluation. I start by introducing the C.R.A.A.P. method to students. Then, I have them evaluate online resources that I have chosen that require they use the C.R.A.A.P. method to determine a source’s validity, accuracy, and relevance. If you are unfamiliar with the C.R.A.A.P. method, it is a popular acronym for the components that make up good research. While there are various versions of this method, the one I teach is: Currency, Relevancy, Authority, Accuracy, Purpose. What are some of the strengths that you see in them as they prepare to leave? As students are preparing to leave, I have found that more of them have developed skills to assist their information-seeking behaviors. Instead of having to walk them through a step-by-step tutorial of how to find the information they need, they are more independent and have more self-confidence in their research skills. What are some of their weaknesses and how do you address them? A weakness that is common among many of the students is their lack of patience while researching. When students cannot find the information they are seeking immediately, they get frustrated and look for information on a different source. When I see this happening, I encourage students to spend more time on the source they are using and modify their search to get the results they are seeking. What are some of the ways that you assess their research skills? Having students practice researching allows for informal assessment of their research skills. Typically, if a teacher requests that I show students how to access the databases available, I give a mini-lesson on how to search using Boolean operators and the use of keywords to narrow a search. I will then monitor the class as I give them time to practice with a topic of their choosing, so I can see where the students are struggling and provide them with immediate feedback. Preparing students to transition to college can also involve connecting with community helpers. Relevant community members can include former students, college librarians, and college professors. 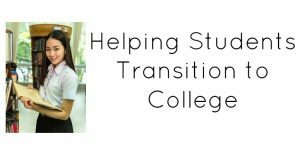 Here are some additional suggestions for assisting students with transitioning, while utilizing community connections. Don’t be shy about asking for support. Take a field trip to a university library to immerse students in the environment. Let them experience the difference between high school and university libraries. You may teach research skills from a different perspective than a college librarian. Ask a college librarian to present a brief introduction to research skills like the lessons that he or she presents to incoming students. Invite a college librarian to complete a teaching project with you to help students practice their research skills. One thing that may inspire the college librarian to work with you is offering them the opportunity for collaborative research. College librarians frequently must publish. It is a win-win situation for you, the students, and the librarian. Invite a first-year student or sophomore (perhaps a recent graduate of your school) to talk about what it is like to move on to college. Have the student to share what shocked them and what was the same about the experience. Ask a college professor that teaches a core subject such as Freshman English or American History to talk to your students about their expectations for students. Make sure that students understand plagiarism and how citations work. Students need to know that sharing an assignment with a friend could earn them low grades and potentially get them expelled from college. In conclusion, depending on their level of preparation, transitioning to college can be a challenge for high school seniors. Reviewing research skills and introducing them to the college library environment can be essential to their success. Do you have strategies that you use? Please share them. As always, the professional development is available below this post.